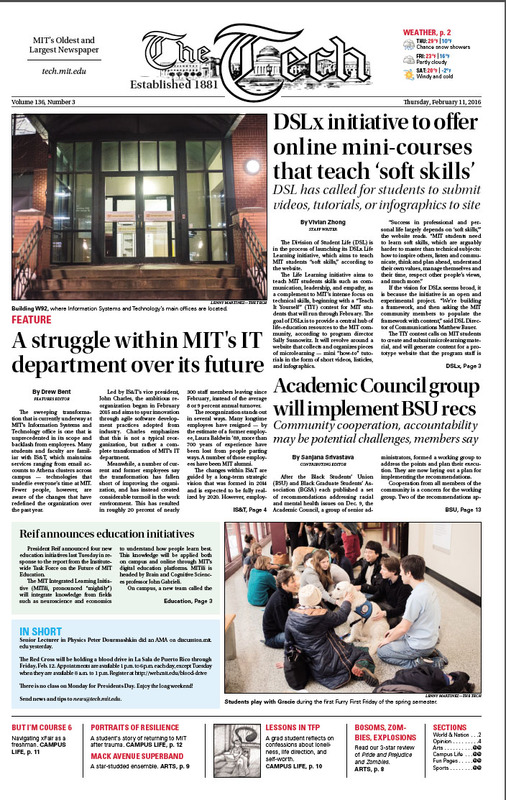 The sweeping transformation that is currently underway at MIT’s Information Systems and Technology office is one that is unprecedented in its scope and backlash from employees. Many students and faculty are familiar with IS&T, which maintains services ranging from email accounts to Athena clusters across campus — technologies that underlie everyone’s time at MIT. Fewer people, however, are aware of the changes that have redefined the organization over the past year.